The story behind this watch is quite simple. I really love the look of a Rolex Daytona, but something I haven’t been able to bring myself to plunk down the money for. I did however find a very nice looking Victorinox Swiss Army Chronograph. My wife got me that as an anniversary gift. I love that watch and enjoy just how well detailed everything is. I can’t however deny that my mechanical mind longs for it to be an auto. 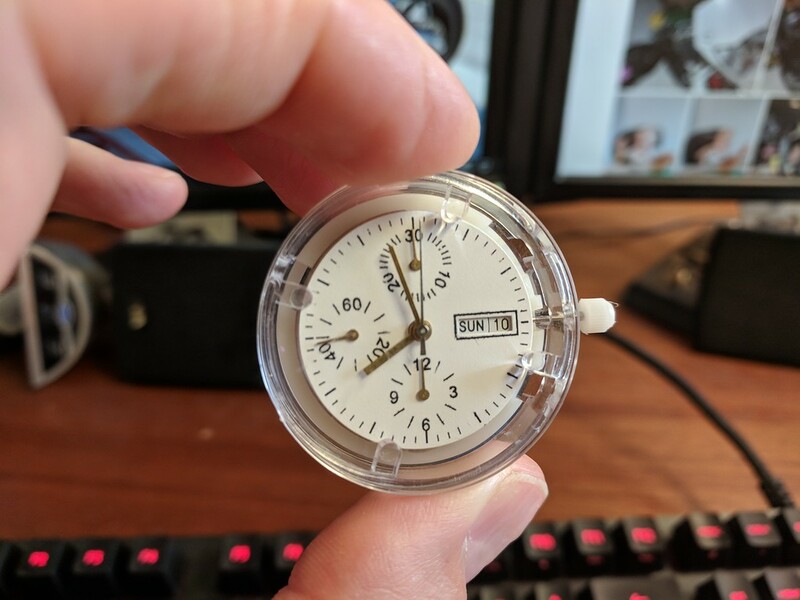 Yes, I love listening to the stop watch gears clicking away, but the heart of the watch is still a battery, and I realized that the dials of the VSA only count up to 30 minutes, and the upper right sub-dial is for 1/100ths of a second. Not the most useful for me in any way. Measuring time in Hours\Minutes\Seconds would be best. Thus my quest to go auto-chrono began. 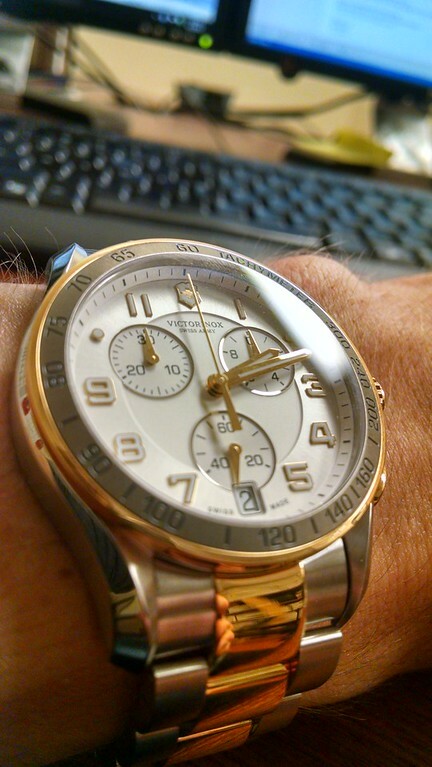 The details of this Victorinox 241509 Chrono are outstanding. So where did I need to begin for my Auto Chrono quest. That was pretty simple. 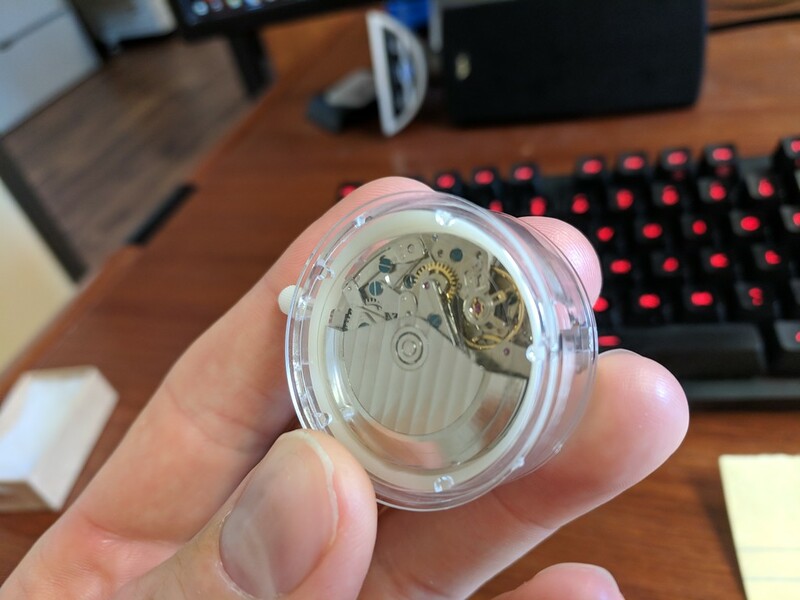 Since I have yet to fully design a watch case, I needed to find something off the shelf. eBay was an option, however I wanted to go with a known, so it was to Ofrei for what they had. Blue bezel, sapphire glass crystal, and a very attractive buy in price. Not only that, but they had an assortment of dials and corresponding hands for this project. I’ve never had a a blue face watch, so I ordered an assortment of hands in various colors to see what I will feel looks best as everything is brought together. However as I’m still waiting on delivery, I’ll backup to the heart of the beast. While I know many fine things come from the land of the Swiss (chocolates….my favorite), being my first major build, I opted to source an Asian 7750. Basically, if I botch something up, I’m not out the 400$+. Not that I plan on screwing up, but hey, I’m relatively new at this. More to come as I really begin digging into things.